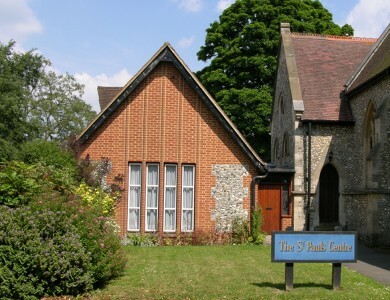 Situated right at the point where the Valley and Hill communities meet, St Mary’s, and previously St Lawrence’s churches, have served as a hub of Caterham life for over 1000 years. Today we benefit from ample parking and close proximity to bus and rail links. We enjoy our position at the centre of the community and offer two facilities for your activities and events at a reasonable price. St Mary’s Hall is a light and airy space, ideal for one off events or regular activities. It offers a well-equipped kitchen which comprises a double oven, microwave, fridge, urn and serving hatch, as well as access to toilets including disabled and baby change facilities. St Paul’s Hall can be booked in conjunction with another Church event such as a funeral or baptism. 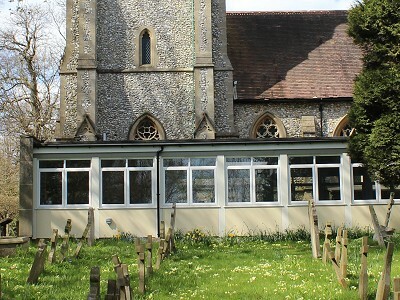 It is a smaller and a more intimate space than St Mary’s (9.76 x 5.60m, 32’0″ x 18’0″approx.). It offers access to toilets, including disabled and baby-change facilities, and small kitchen area suitable for serving tea and coffee. Church members may also use it for meetings or parties. Cost to be agreed on acceptance of the booking. If you would like to come and visit either of the halls to see if they suit your requirements, or discuss hire charges, please contact the Parish administrator on 01883 348751 or email stmaryscaterham@gmail.com and we will be happy to oblige. You can check availability of either venue via our online calendar here.